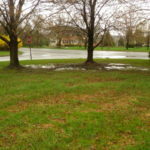 Bioswales are garden-like features used to effectively handle storm water problems, including helping to prevent erosion. 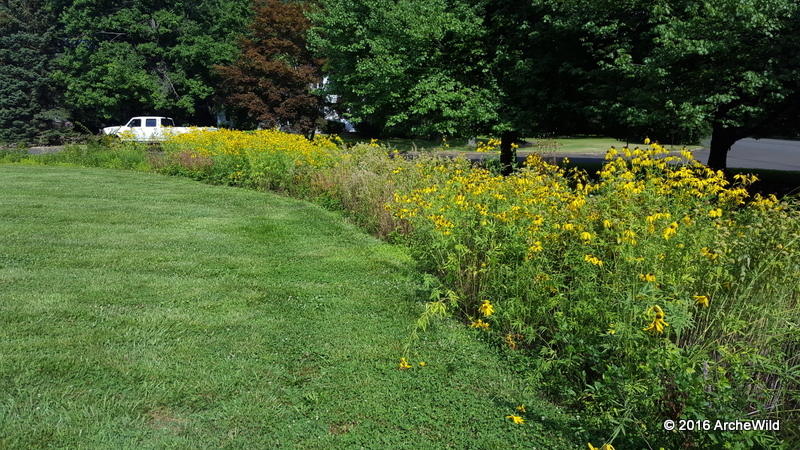 Bioswales are common features in commercial and park settings, but can be successfully, and affordably, built for the homeowner. 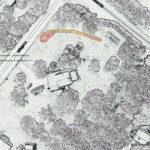 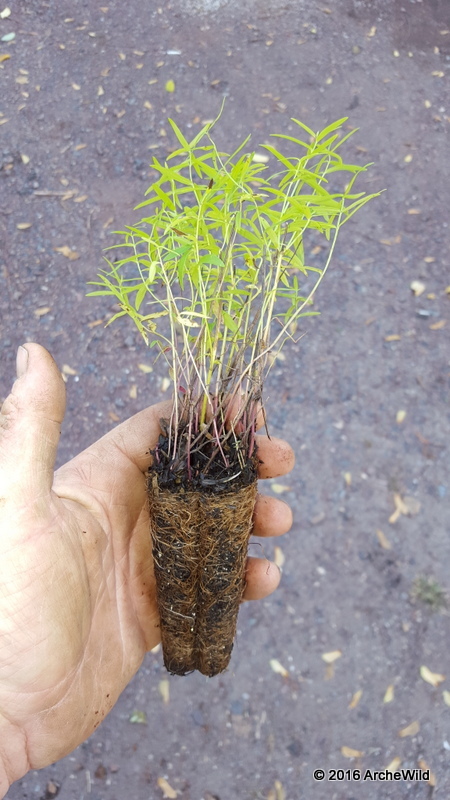 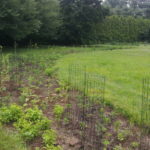 The project depicted in this article started with a customer asking for new soil and grass seed to be placed under some red maples whose roots had become exposed due to continuous erosion from their front yard. 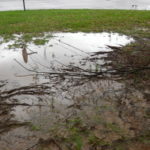 Placing new soil and planting new grass seed would have proven ineffective as the core problem, erosion, would have also washed away over time. 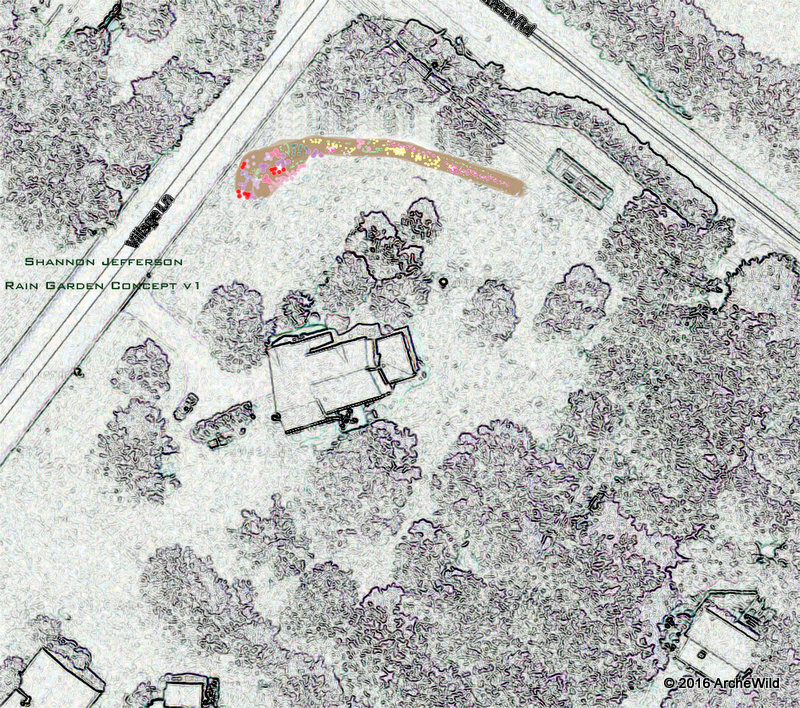 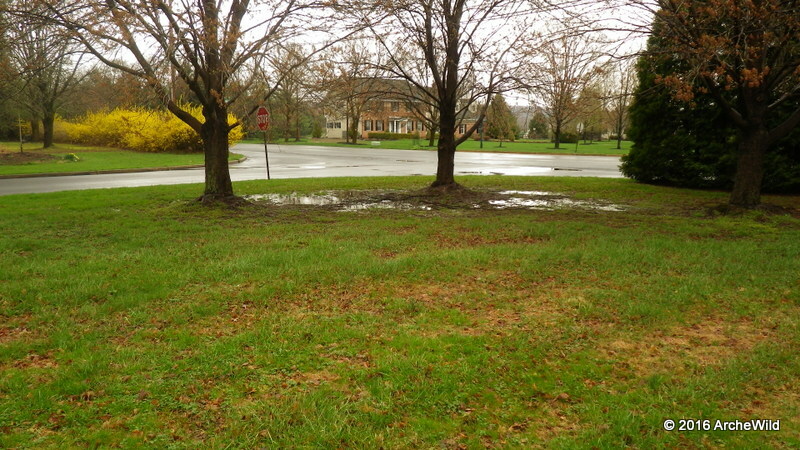 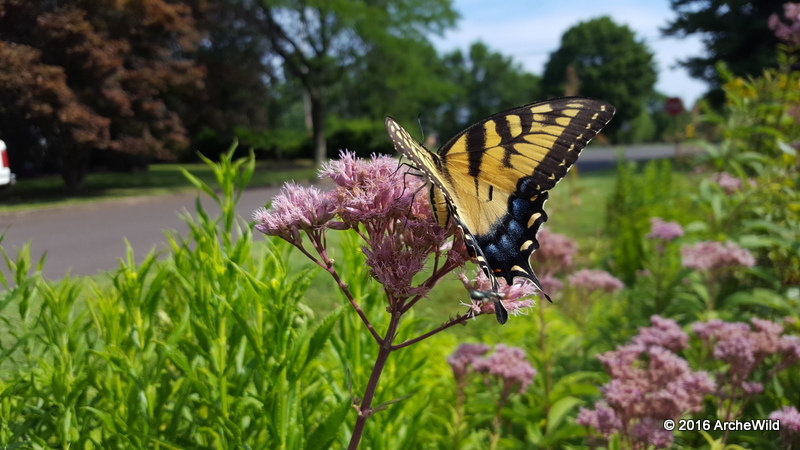 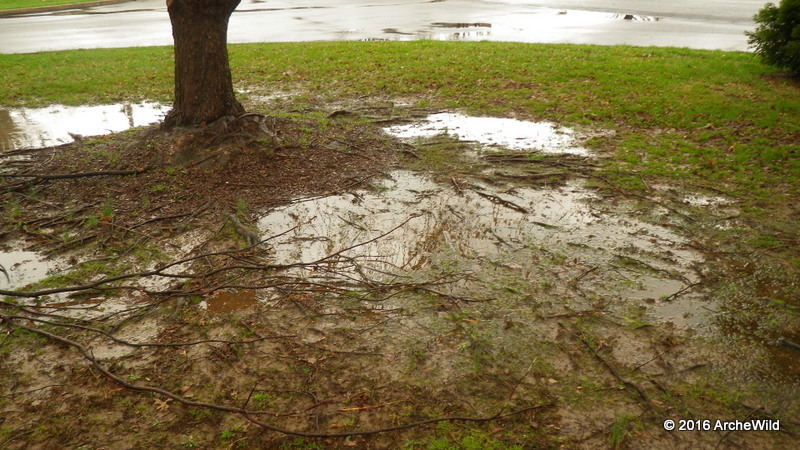 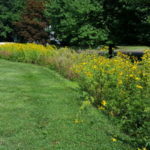 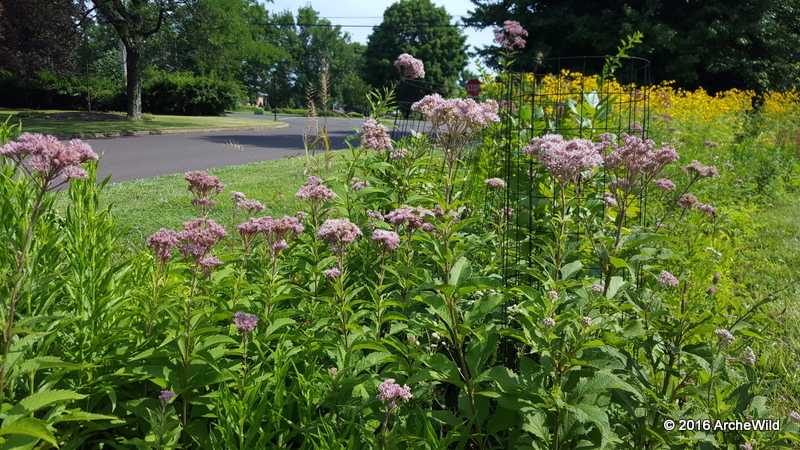 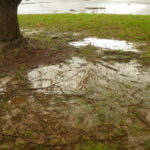 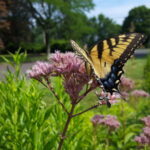 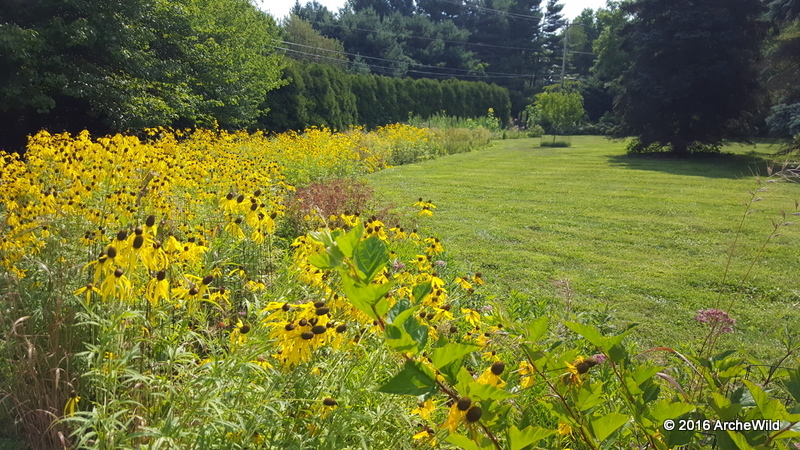 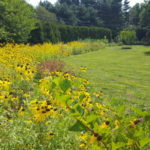 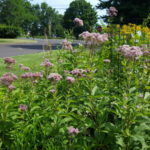 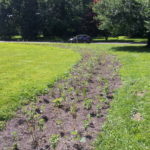 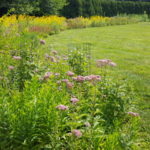 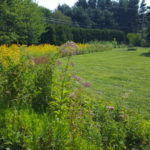 Instead, ArcheWild proposed installing a bio swale, or rain garden, in their front yard to capture and hold storm water so as to prevent further erosion and protecting new soils under the maples. 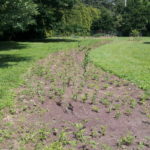 Step 1: Lay out the size and configuration of the bio swale such that it will capture the bulk of the storm water problem. 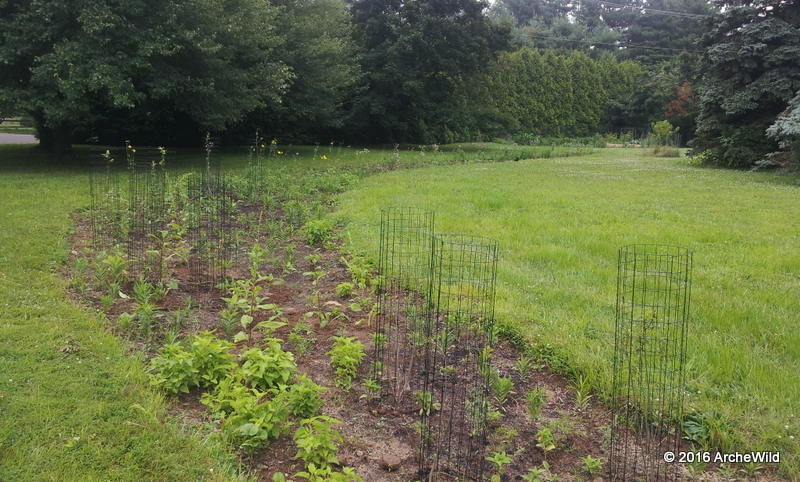 Step 2: Decide the plant aesthetic and choose species. 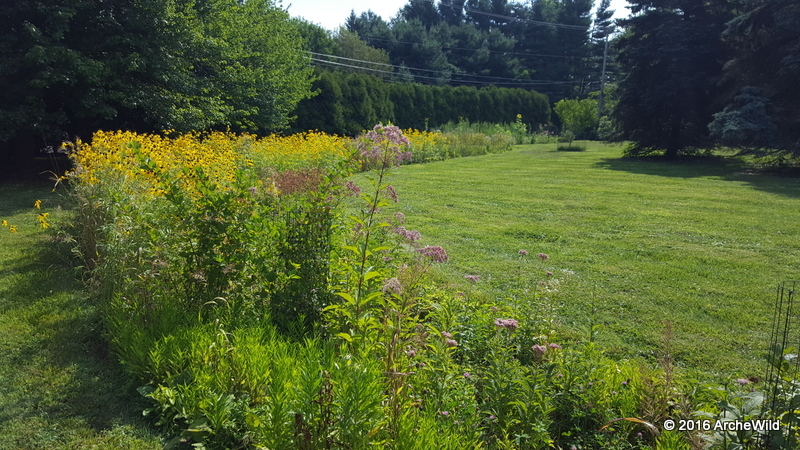 For this project, the chosen aesthetic was maximum color throughout the season (a front yard planting) and screening from the road (to be able to use the front yard without people being on display). 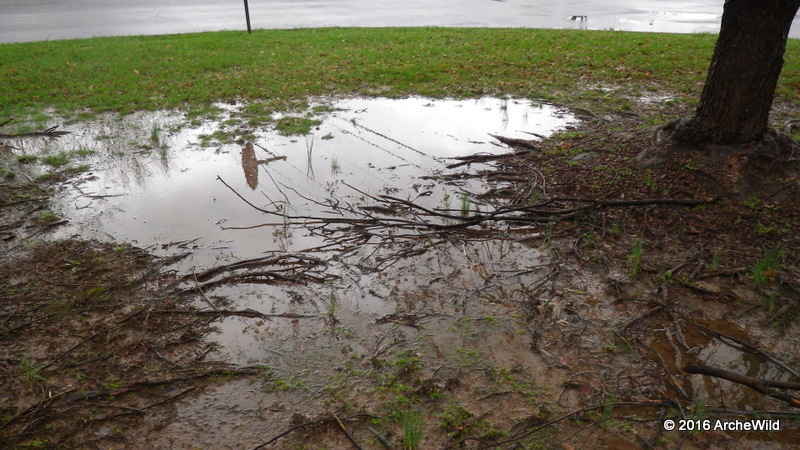 The upper end of the bio swale will normally be quite dry while the bottom pool would remain moist to saturated so the species selection needed to change along the length of the planting. 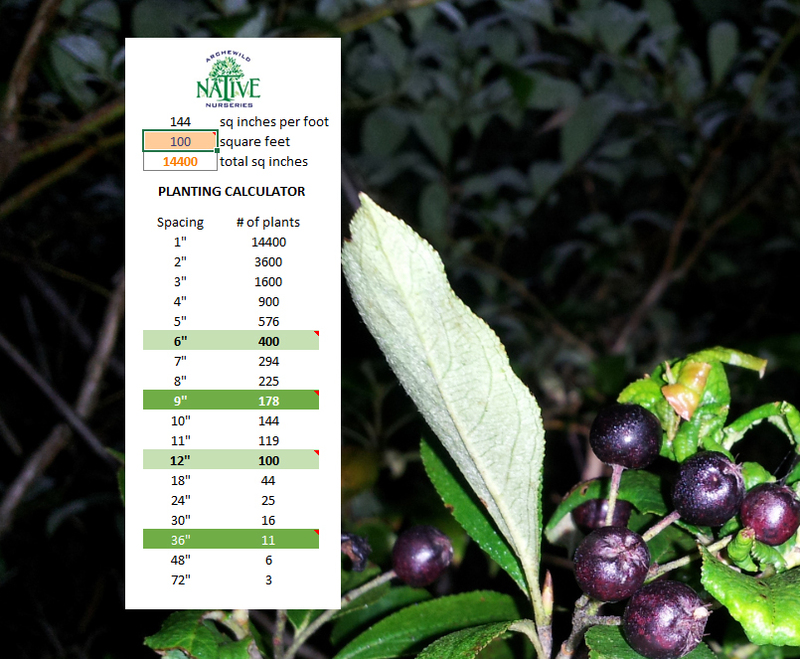 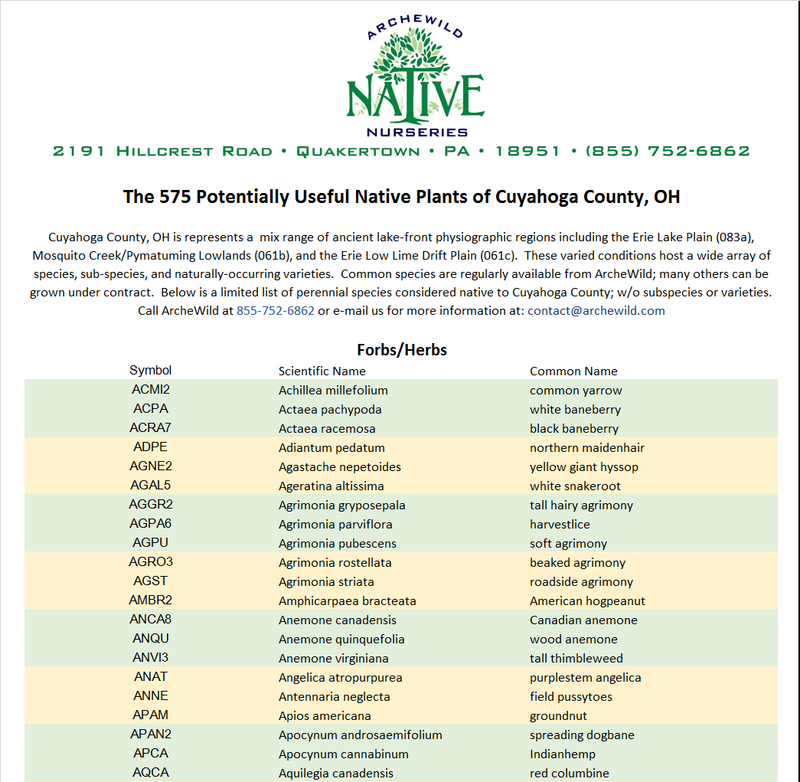 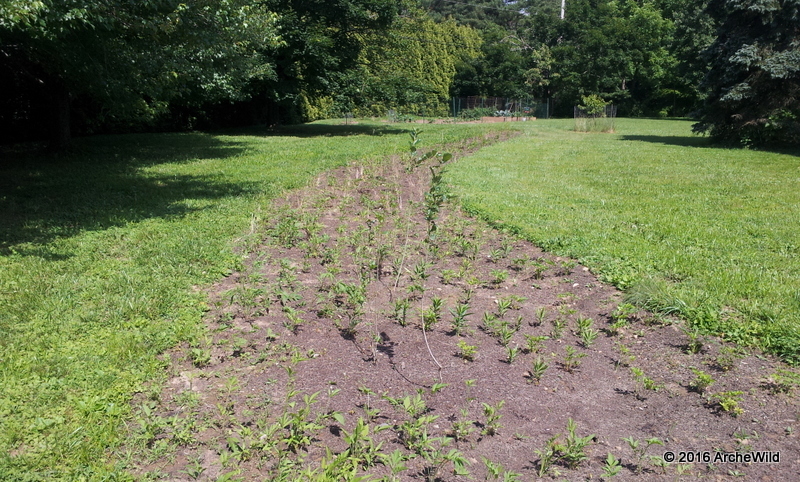 Step 3: Excavate the existing soil and install planting media blends to support the chosen native plant species. 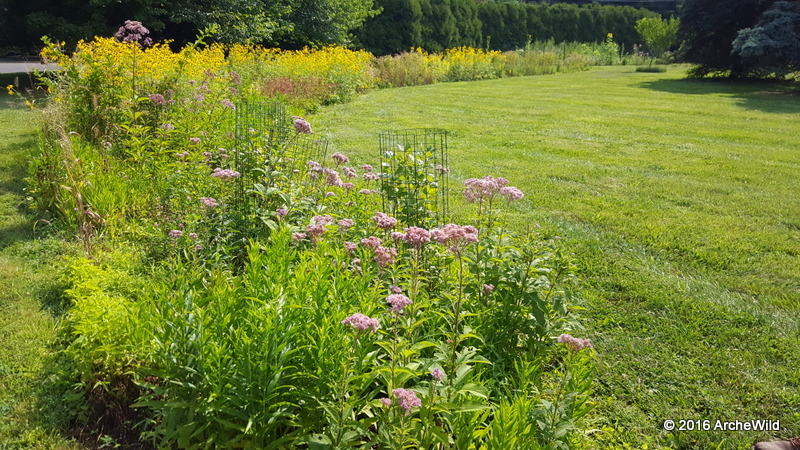 For this project, the upper end of the bio swale was augmented with sand and light aggregate to support species preferring dryish, well-drained soils. 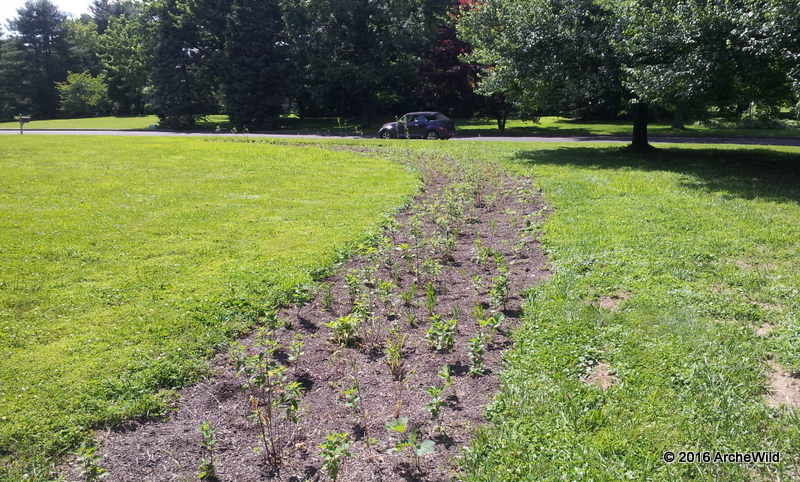 The lower end of the bio swale was augmented with moisture-retaining organics to support those species. Step 5: Water and weed as required, and then, enjoy the show!